Linksys has announced the availability of its Velop Dual-Band Mesh Wi-Fi System, the latest addition to the Linksys family of Velop Whole Home Wi-Fi Mesh Systems. The new Velop Dual-Band Series is a smaller and more affordable Wi-Fi System that is designed and built as a mass market, flexible Wi-Fi system. 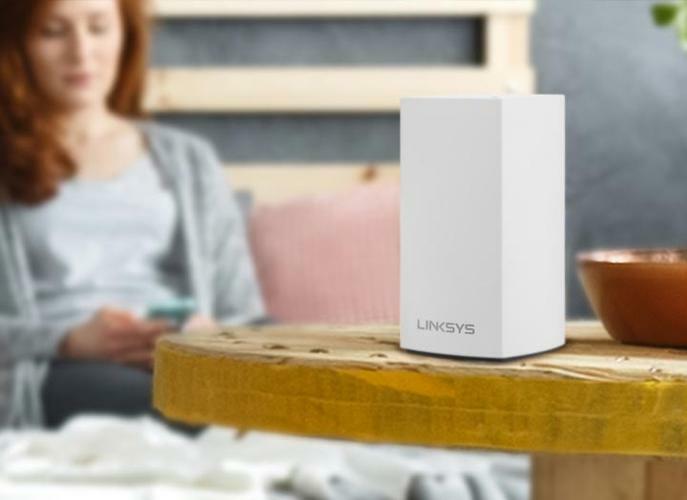 It provides all the same features found in the Velop Tri-Band offerings including Intelligent Mesh, advanced parental controls, website blocking, Amazon Alexa compatibility, as well as ease of use and set up with the Linksys App. “Velop is now the most flexible whole home mesh Wi-Fi system on the market,” said Greg Morrison, Country Manager at Linksys Australia. Velop is compatible with any ISP modem or gateway. Both Dual-Band and Tri-Band nodes are 100% interoperable and interchangeable and allow for upgrading based on a customers needs. The nodes work together as a Wi-Fi system to provide wireless connectivity throughout the home. Individual nodes can be connected wirelessly or by Ethernet. The Velop system can be set up via an Android or iOS device using the Linksys App. After setup is complete, the Linksys App serves as a Wi-Fi management tool with features such as guest access, parental controls, device prioritisation and insights that help Velop users get performance and utility from their network. The Velop Dual Band Whole Home Mesh Wi-Fi System 3-pack will be available from July 26th for $449. For more information, visit linksys.com.